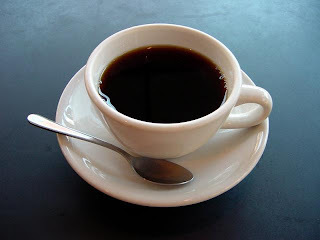 I recently noticed that I have been addicted to coffee.. well not that much really -- just a cup (a tiny cup) a day. It's not that worse of an addiction yet. I just find myself having this desire/need of drinking it often. It may not be that alarming since coffee/caffeine addiction has been pretty much normal in our society nowadays but out of curiosity, I tried to search the internet on how coffee would affect my health especially that I am still a teenager... (I'll be turning 20 a few days from now, but I believe I still am considered a teenager *big grin*). I spent a small amount of time googling it. Lots and lots of search results. I am a lazy researcher so I just skimmed through all of the facts I stumbled upon. 1. It is a great source of antioxidants, an important compound that prevents you from certain diseases. 2. Lowers the risk of Parkinson's disease and Type 2 diabetes. 4. Keeps our brain alert and receptive of new information. 1. When consumed in excess, it can be addictive and can affect your mood. 2. It can stain your teeth over time. There were a lot more deep and further studies about it but the bottom-line of those researches is that there are so many benefits of drinking coffee that it becomes hard to be worried about the few disadvantages when in fact these can only be dealt with moderation. Yes.. moderation can solve it all. So, I was thinking it is not that bad after all... just not too much of it. After having been able to read all of those, It made me become more comfortable drinking it in moderation. I don't drink that much everyday... just around 15g (1 sachet). I am not that particular with my coffee either. Although there are a few good cold and sweet coffees, I don't think they are the real deal. I prefer my coffee to be hot and strong... it keeps me going. What's your favorite coffee by the way?